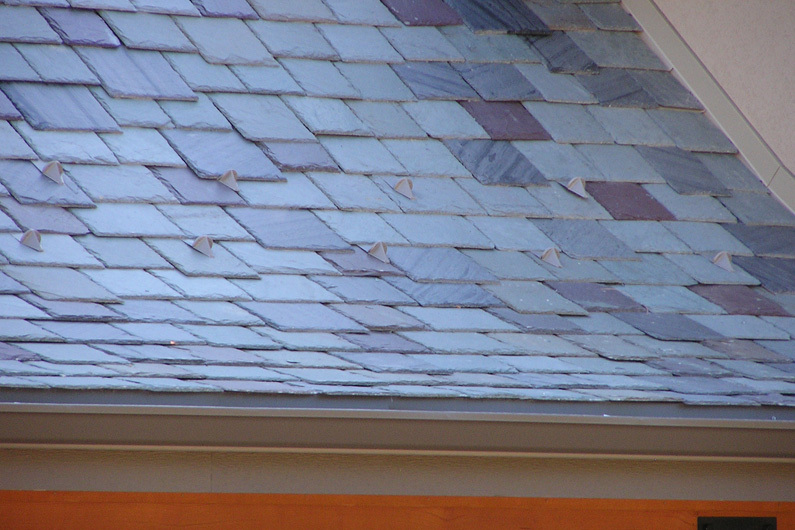 Genuine slate roof installed using SlateTec lightweight installation. 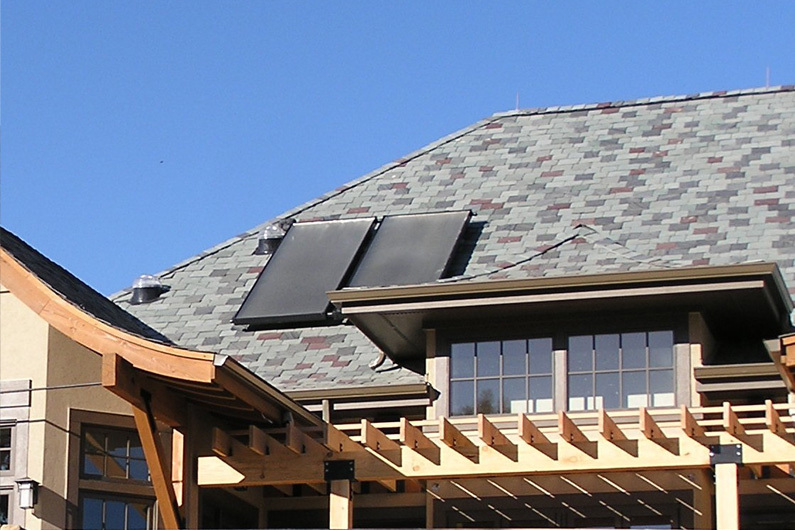 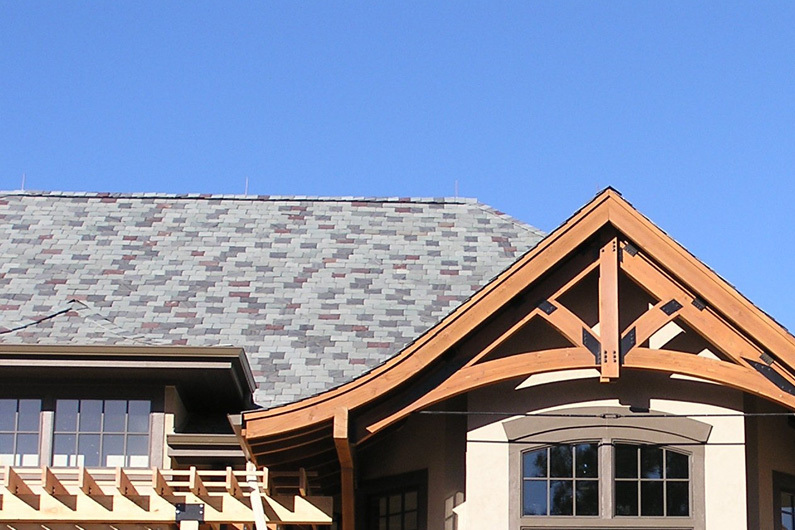 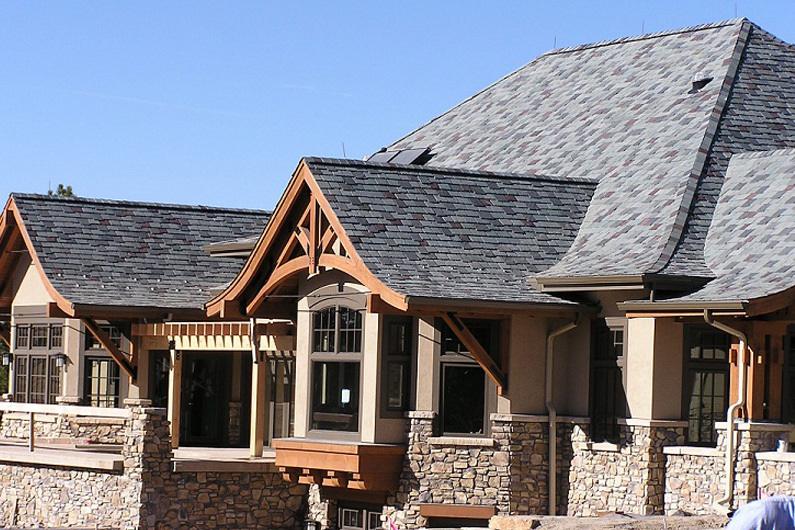 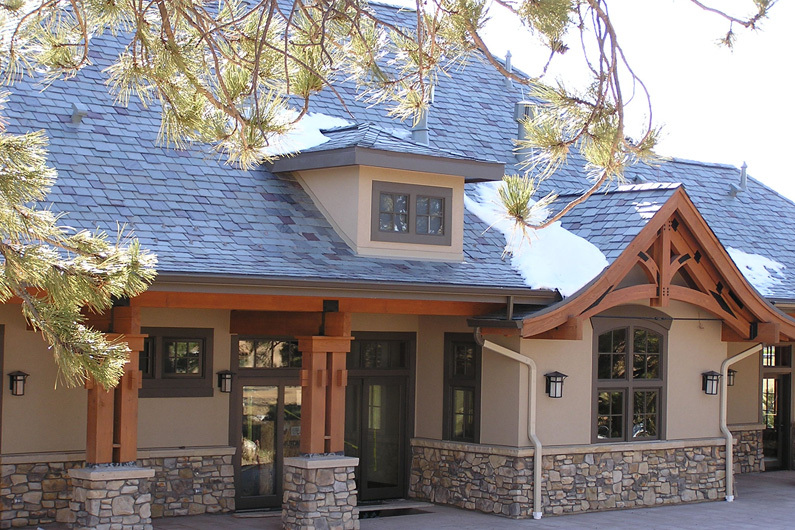 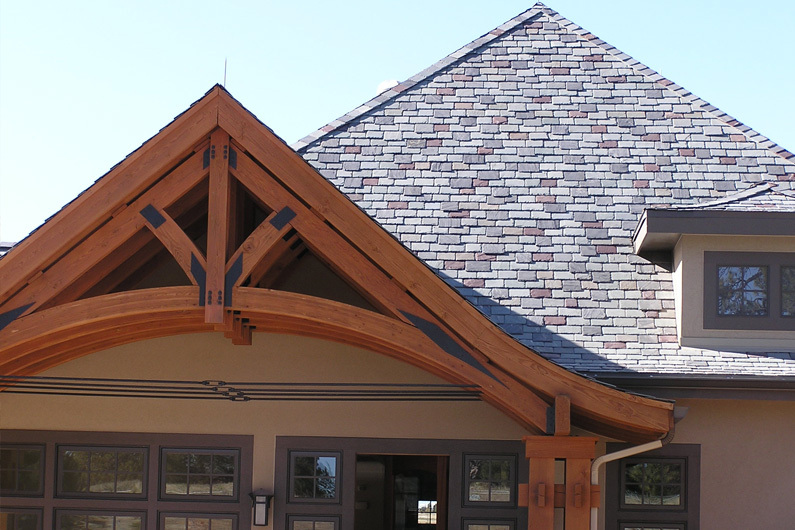 This roof showcases a beautiful, Vermont slate roof color blend. 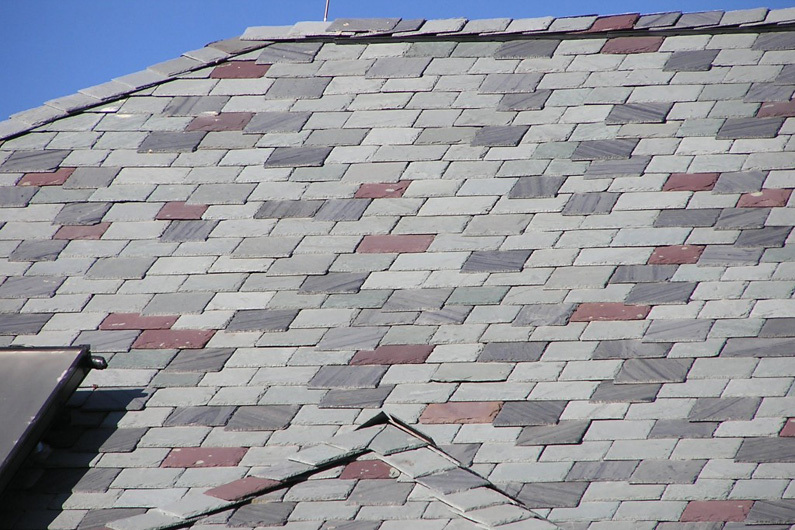 Vermont slate roof color blends of Non-weathering Gray/Green, Mottled Green/Purple, Semi-weathering Gray/Green, Mottled Gray/Black, and Royal Purple.